Danish musician Amalie Bruun, better known by her stage name Myrkur, recently released a rendition of an old Danish folk tune named “Bonden Og Kragen.” This release came shortly after she announced her new EP Juniper, which is coming out December 2018. The song consists of vocals accompanied by drone-like guitar arpeggios looped in the back of the small mix. The song observes a 3/4 time signature made apparent by the triplet groupings of the triads in each chord. The first note in each measure sports a different note in the bass side of the root chord and the root chord being a single chord that remains the same till a major chord turnaround appears at the end of each verse. The song, according to Myrkur, is about an old Danish folk tale about “a peasant/farmer who ventures into the woods and shoots a crow.” The rest of the story follows the protagonist’s reaction to the town’s backlash. The video alludes to the walk through the woods leading up to the fatal encounter with the crow. The video also begins with the crisp, rustling sounds that come with each step taken over brown fall leaves. 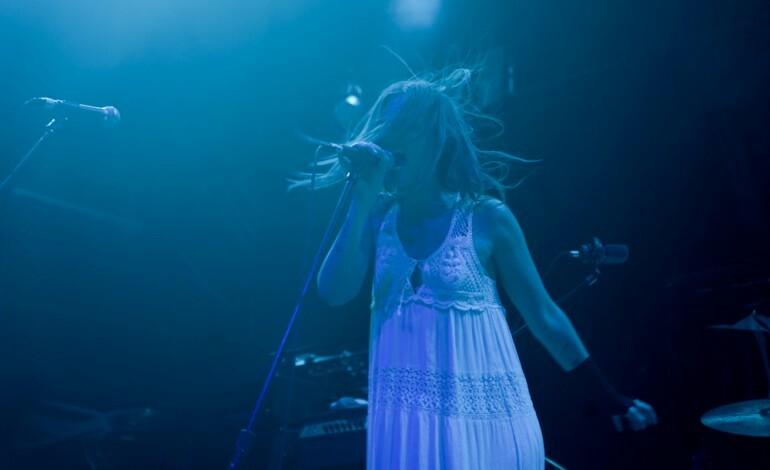 Currently on her first headlining tour in Europe, Myrkur is selling out countless venues while her fans wait for the new EP and hopefully, for a chance to see her.